Goats: *Bold font represents goats that are still here, the others are at other farms but still part of our family. Gabby, Tabitha, Shasta, Star, Esmeralda, Millicent, Vera, Minerva (Minnie), Tilly, Luna, Esther, Jill, Dolly, Holly, Remington (aka Remi), Nehemiah, Grayson, Willow, Cricket, Downton, Abbey, Endora, Samantha, Clara, Rigby, Raven, Lucy, Desi, Timmy, Madeline, Rufus, Honey, Harley, John, Jackie, Athena, Hawthorne, Orville, Wilbur, Godiva, Alice, Henry, Cherie, Tessa, Tiger, Lilac, Carly, Simon, Waylon, Willie, Astro, Elroy, Fred, Ethel, Rocco, Bubba, Barnaby, Margaret, Flora, Valentino, Conner, Molly, Charlotte, Janet, Chrissy, Sawyer. Turkeys: Basil, Turkelberry, Rickens, Brock, Florence, ..and more! Chickens: Peep, Carroll, Paul Stanley, Wyatt Chirp, ..and many more! Ducks: Hershey, Olivia, Elizabeth, Priscilla, Elvis, Ed, Eunice, and more! Geese: Doty, Walter, Thing 1, Thing 2, and a few more! So..what happens when our female goats are no longer milk producers? : They retire, they live a life of leisure here on the farm, they are never sold or sent to slaughter, EVER! Our animals are our farm family. 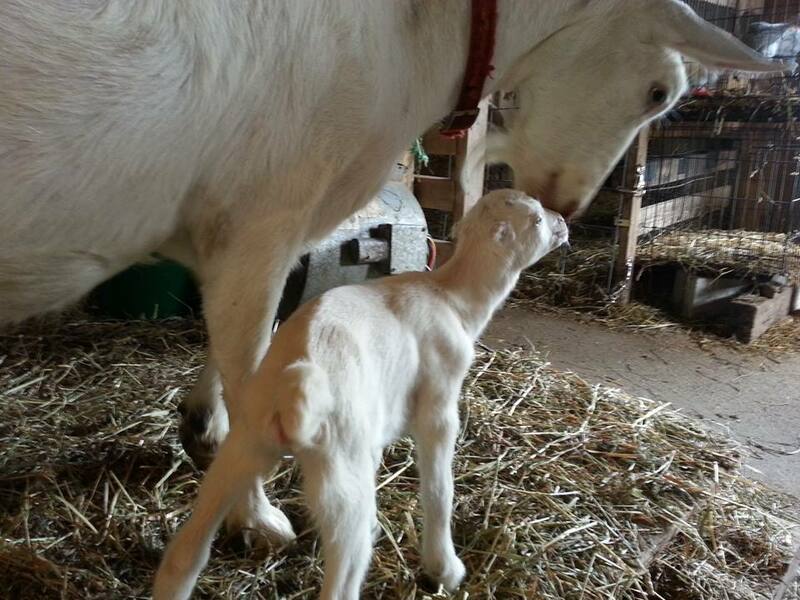 Several of our goats have never..and will never produce milk for us...but they are just as valued in the family. What happens to male goats? 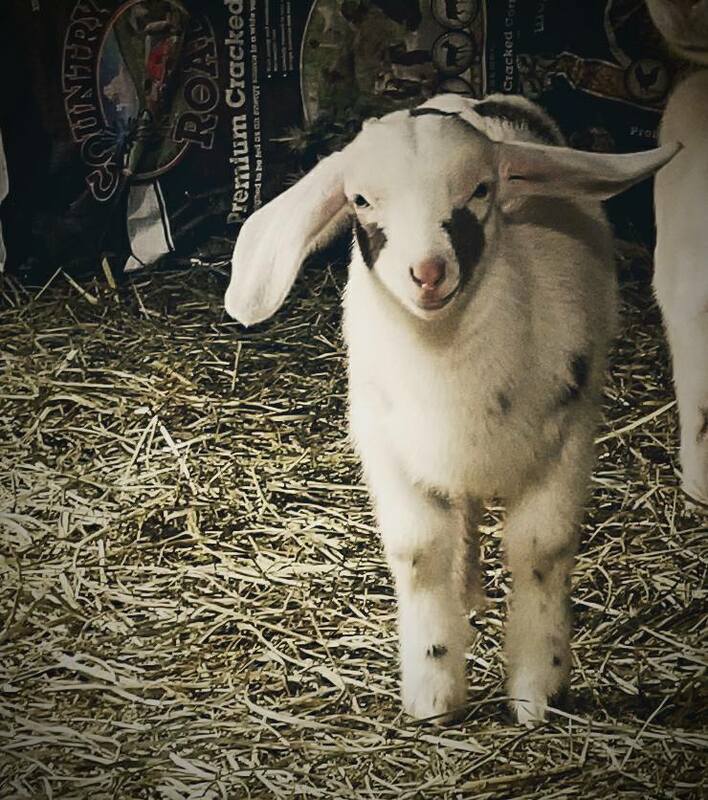 : Male goat kids are usually sold...BUT..we don't just sell them to anyone, we do have to know something about them and what they are buying the goat for, we will also not sell just 1 goat to someone that doesn't already own goats...goats are herd animals and don't want to be alone. Our customers are usually buying them just as homestead pets, and to help clear brush...which is like a huge buffet for the goats. The way we treat and manage our animals is likely a horrible business model...but..we truly love and adore them, they are not a commodity..they are family, and a big part of what makes life here so magical. Now...go hug a goat....do it now!! Some of the first group of babies from 2018! Yes we will have babies for sale. Contact us for details.